On the 21st of September 2013 during a programme of the 23rd Castle concert a new book was introduced. It was prepared by Mrs Johanna Haugwitz El-Kalak in cooperation with National sight institution. 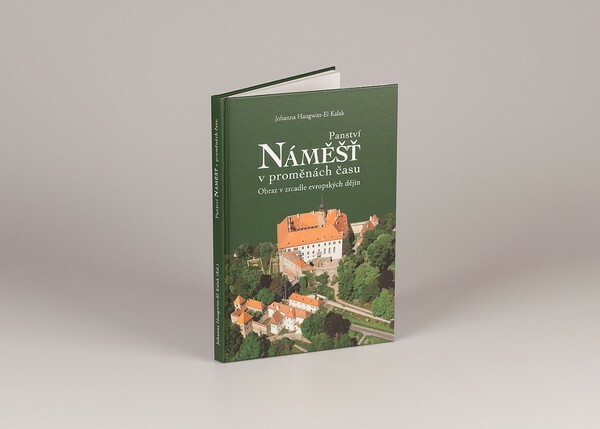 A book Manor of Náměšť in changes of time is not only an overview of the history of Náměšť. It is aimed at personalities who were important and introduces people from politics, culture and science. It emphasises the influence of those people on the life not only in Náměšť itself, but also in Moravia and previous monarchy. Less known and new facts are mentioned in the chapters about lives of the last owners of the castle during the 20th century. In the end of the book we can follow the life stories of the last owners of Haugwitz family and their seat, the castle of Náměšť nad Oslavou. The book is sold in the ticket office of the castle. The price: 399,- Czk. Your purchase of the book helps to restore the furniture of the castle in Náměšť nad Oslavou.